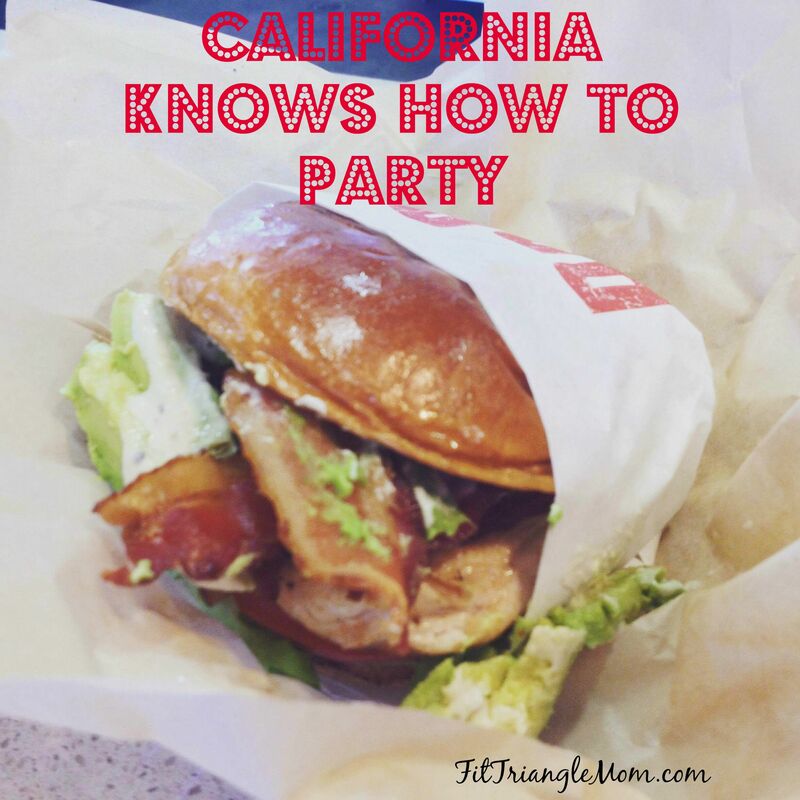 Remember that song by Tupac…California Love AKA California knows how to party? 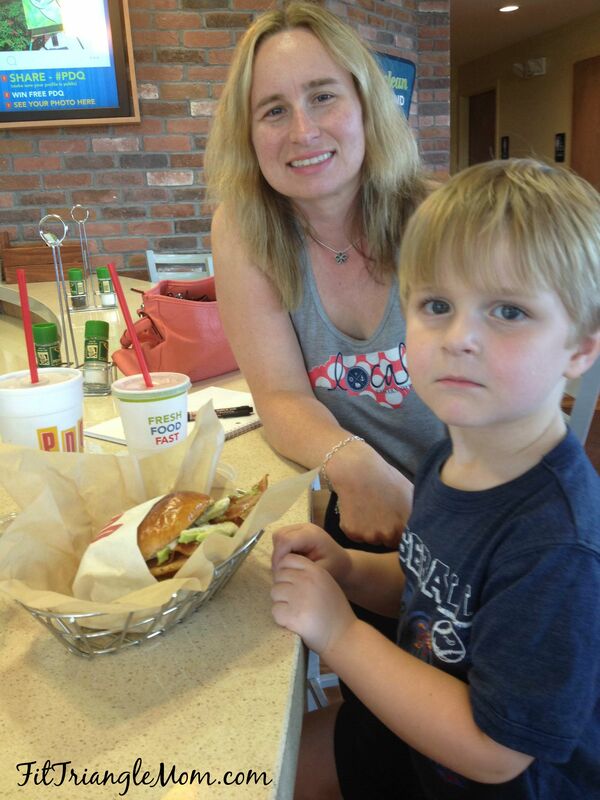 Well, that’s exactly how I felt when my 3-year-old son and I visited the Cary PDQ to try their new Cali Club sandwich. We were greeted by Meggan, the friendly operating director, and she made sure my little man was happy with sliced apples, french fries (a new crispier recipe), chicken strips and a drink while we waited for her to freshly prepare our Cali Club sandwich. We even saw two friends while we were there including Malise of Carolina Mama who helped take a picture of me and my little man. My mouth was watering while I listened to Meggan explain the ingredients of their new sandwich, the Cali Club, and I knew the party would continue in my tummy (it’s a Yo Gabba Gabba song). grilled Chicken breast, a few strips of bacon and Haas Avocados! The sandwich was absolutely delicious, and it paired well with my green tea. PDQ offers a large selection of drinks with their Coca-Cola Freestyle machine, bottles of Cheerwine and Yoo-Hoo chocolate milk, but I like to stick to the healthy selections and their green tea is fabulous! Meggan surprised us with a special dessert treat– their seasonal Cocoa Krispie Milkshake made with vanilla ice cream (Hunter Farms, NC Based), marshmallow fluff, Cocoa Krispies and fudge. My family loves going to PDQ after soccer practice when eating at home becomes too rushed. I like that PDQ offers fresh, local ingredients that is never frozen (their stores don’t have freezers or microwaves) and tastes good plus they are always supporting local causes and organizations. The party will continue this week with the unveiling of their new honey marinated chicken nuggets and honey barbecue sauce (homemade just like all their other sauces). Be sure to follow me on Instagram and Facebook to see my review of the new nuggets. PDQ has locations in Alabama, Florida, North Carolina, South Carolina, Georgia, Nevada, New Jersey and Texas. Visit PDQ Locations to find a store near you. 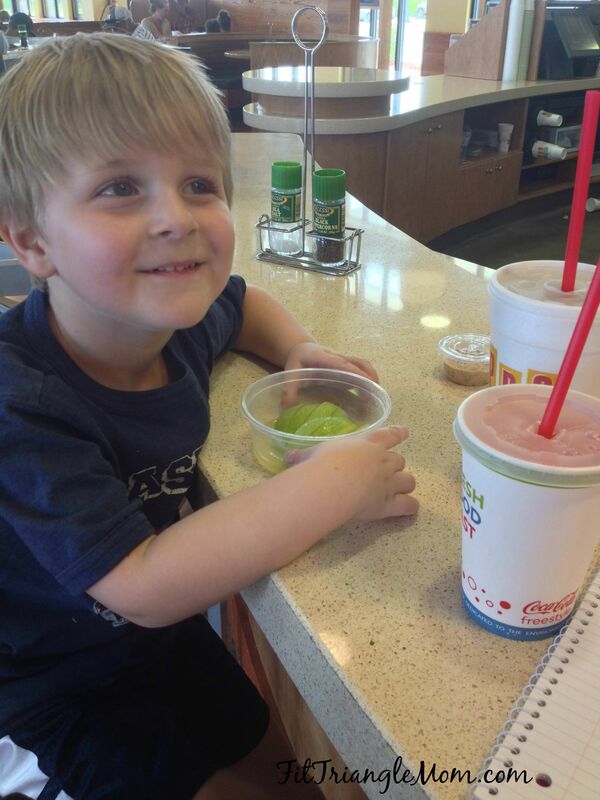 What’s your favorite menu item at PDQ? « Never Wash Your Car Again! We love their tenders (both grilled and crispy) and fries. Thanks for the giveaway! Their tenders are delicious. I’m excited to try their new honey marinated nuggets. My boys favorite food is chicken nuggets. Thanks for entering the giveaway. So true, Ashley. The grilled salad used to be my favorite, but the Cali Club stole my heart. It is absolutely delicious. Thanks for entering. I always get their grilled chicken tenders but I may just have to try that sandwich!! I would always get their salads, but the Cali club is just so yummy. My kids love the shakes! 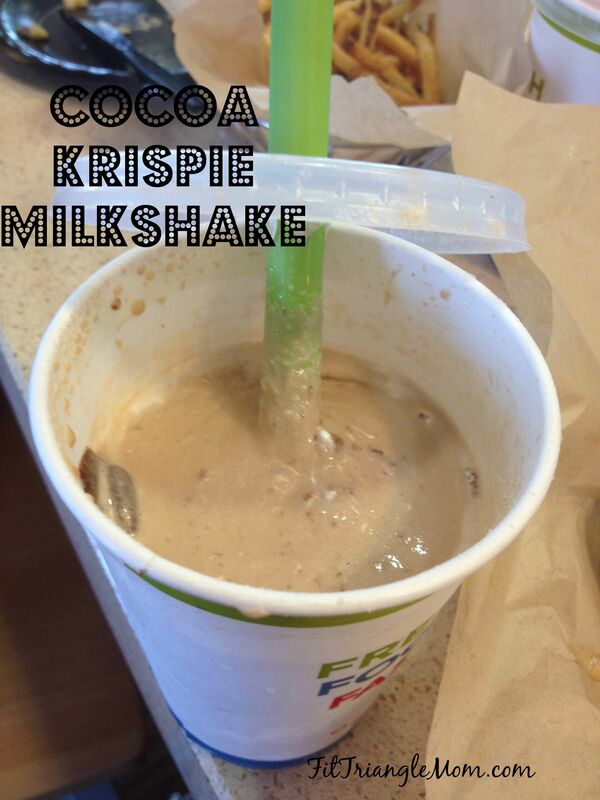 We love the shakes too. They are gearing up for another Shake Out Cancer promotion in October. The shirts are super cute too! I like their salads with grilled chicken tenders. The grilled chicken salad is a favorite of mine too. I love the blueberry vinegarette dressing.